Volunteers from Tall Timbers joined One Tree Planted to help reforest an area of Fourmile Canyon that burned in 2010. Over six thousand acres were burned and 168 homes destroyed, making it one of the most damaging fires in Colorado's history. The fire burned countless trees and shrubs leaving the area with little to no vegetation. Thanks to the people at One Tree Planted we are had the opportunity to help restore this area on Earth Day. 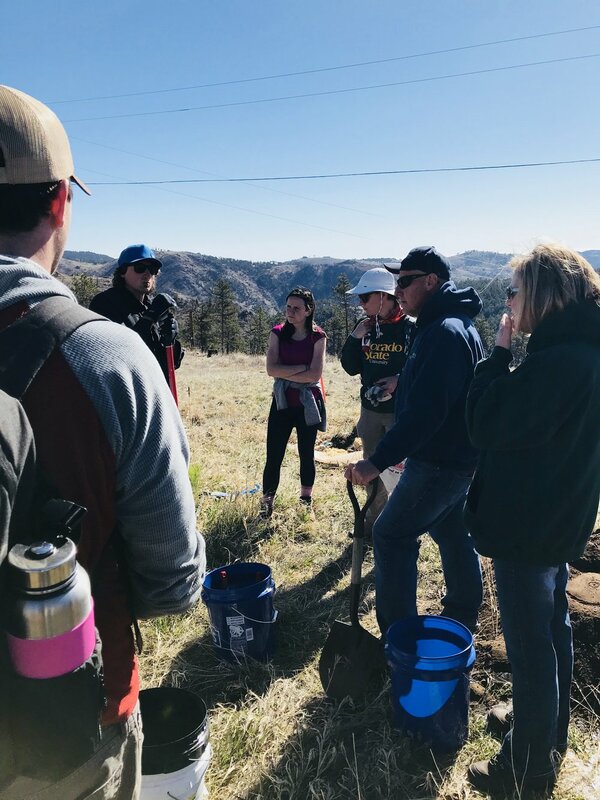 Volunteers from all over the front range came together to plant 6,000 trees in an effort to help reforest this area. It was a great event to take part in and will be wonderful to see this area come back to life!